Some things here are just familiar enough to give you a strange sort of feeling, almost like you're living in some sort of parallel universe instead of a different country. I'm assuming everyone who's traveled abroad knows the feeling. It's one matter for something to be completely different than what you're used to, but for some reason it's the slight differences that often catch my eye, induce double takes, and make me smile. I'm calling this post #1, because if I remember to take pictures (and I can be somewhat unobtrusive in doing so), I'll try to post more. 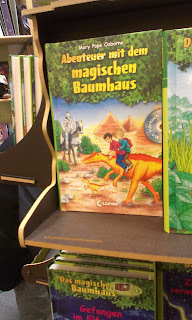 The Magic Treehouse early reader chapter book series is very popular in the US. Love the German title. 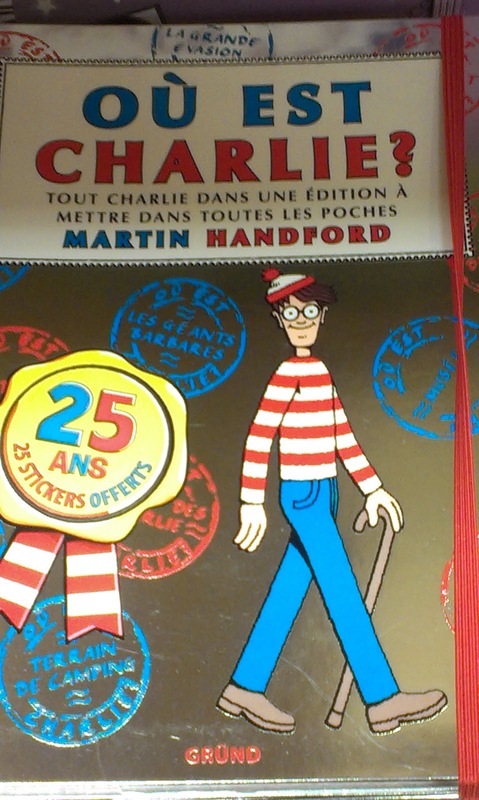 Waldo's long-lost French twin brother, one would assume. 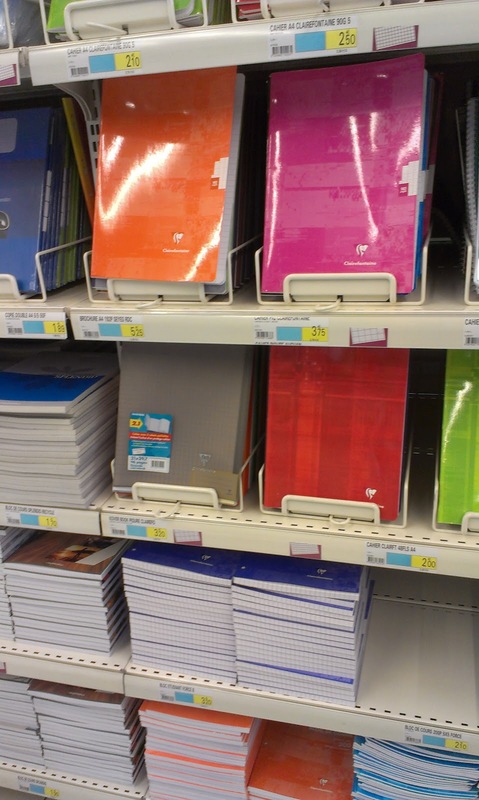 every last one has "graph paper." I'm curious to find out how kids learn to make letters, space letters, determine how tall a capital vs. lower case letter is, etc. 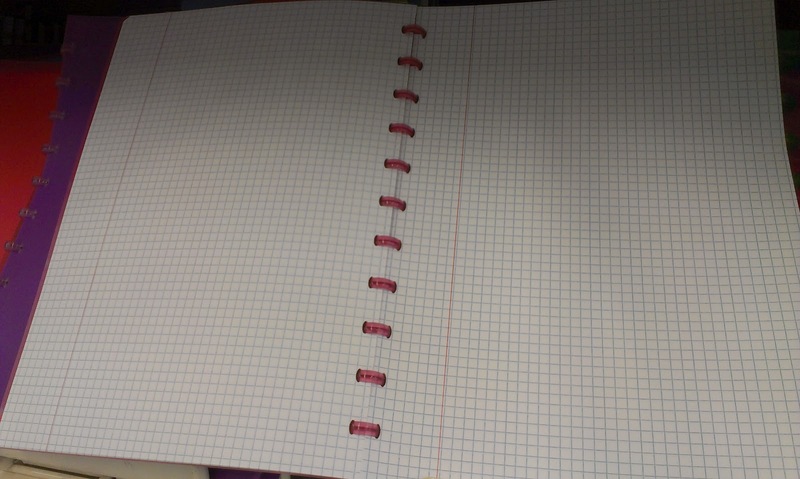 That graph paper would drive me crazy! I never know where to write...it certainly will be interesting to see how Luxenbourgish children manage it. 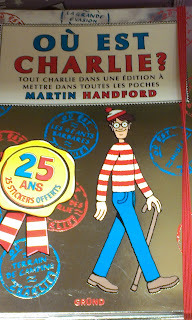 I like Waldo's brother, by the way. He is very dapper. Kids will have special books where they will practice cursive letters. Regarding the spacing on the graph paper, each teacher has his/her preference and will instruct students according to those preferences. Oh, how interesting, it's up to the teacher. Thanks for the info! !